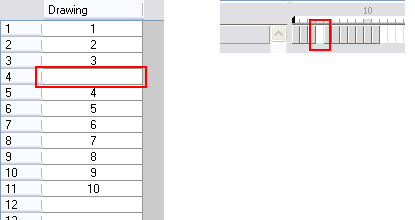 Use the Insert Blank Cell option to place an empty cell between other cells. This is always done in Insert mode and pushes down existing exposure, even if you are set to Overwrite mode. 1. In the Xsheet or Timeline view, select the cell where you want to insert a blank cell. 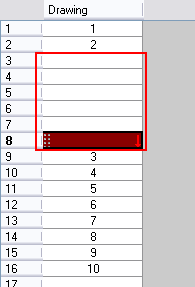 ‣ In the top menu, select Animation > Cell > Insert Blank Cell. ‣ Right-click on the selected cell and select Exposure > Insert Blank Cell. ‣ Press [Shift] + [J]. ‣ Click the Insert Blank Cell button in the Timeline View and Xsheet View toolbars’ extra buttons. 1. 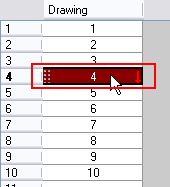 In the Xsheet view, select the frame range to clear. 2. 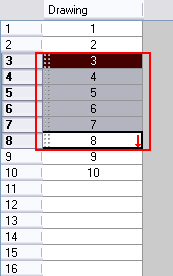 Right-click on the selected cells and select Clear.